It is natural to be concerned about voice change following thyroid surgery. If you are a singer or voice professional it is particularly important to preserve your voice. Professor Sidhu has this at the forefront of his mind and utilises special equipment to monitor the vocal cords during and after surgery. Voice change following thyroid surgery occurs because of a number of factors. Most of these resolve within 3 months of surgery (eg trauma of a laryngeal tube, post-operative oedema, internal fibrosis, and scar formation). The two most important factors essential to voice preservation are preservation of the function in the recurrent and laryngeal nerves. If the recurrent nerve is paralysed then the voice is weak, hoarse, and husky. If the external laryngeal nerve does not function, then voice projection and pitch is affected. During surgery Professor Sidhu utilises a neurostimulator attached to a neuromonitor to test the function in the recurrent and external laryngeal nerves. 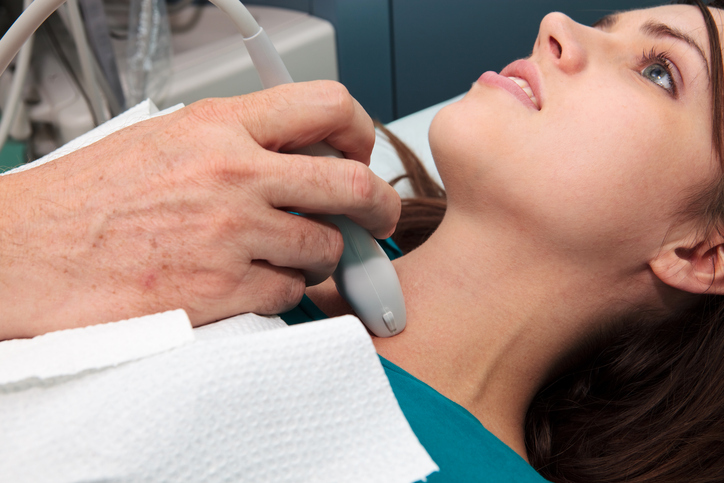 If you are concerned about thyroid surgery voice, this minimises the chances of inadvertently injuring these nerves. Following thyroid removal nerve function can be documented utilising this technology. Professor Sidhu has a recurrent laryngeal nerve (RLN) injury rate of 1 in 1000 and a rate of 1 in 200 for external laryngeal nerve injury. Professor Sidhu is currently involved in a study to document the use of the neurostimulator during surgery and the initial findings are presented in a paper below. Annals of Surgical Oncology – Identification of the External Branch of the Superior LaryngealNerve: An Additional Argument for Neuromonitoring?